Each afternoon we lead extra-curricular activities such as art, drama, dance, music and photography and we organise lots of fun and structured games and activities. If you have a particular passion, from drawing to singing, this is your time to shine! The aim is for our ‘House Cup’ youth initiative to be varied and inclusive, offering support for all children within the community, which means we rely on your imagination and creativity to deliver this impact. 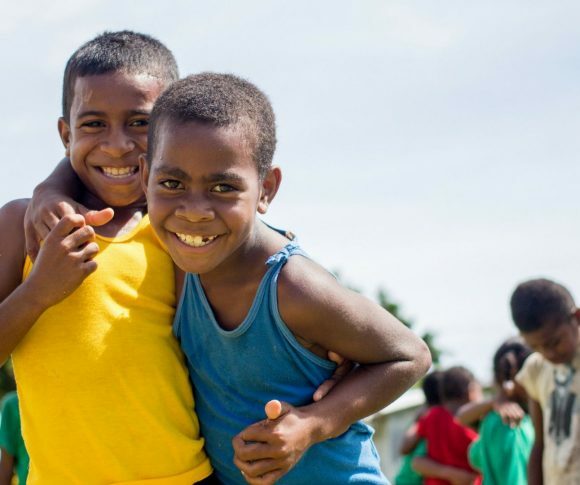 Fijian children are infectiously bubbly, curious, playful and bursting with energy. Unfortunately, a lack of resources means they have very little opportunity to enjoy extra-curricular activities and experience the personal development benefits they bring. 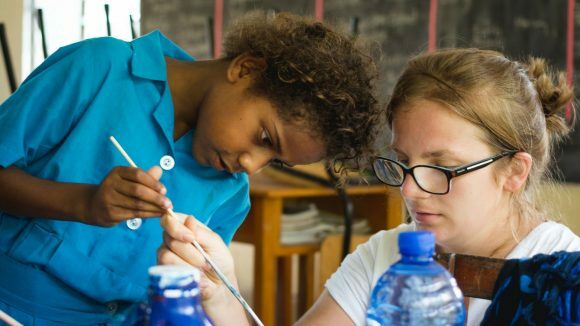 Our ‘House Cup’ initiative has been recognised by the Fijian Ministry of Youth and Sports and Fijian Ministry of Education who have requested Think Pacific to implement youth programmes nationally and as a central aim of every project. Many of the children have never used paint or art materials before, used a camera or practiced a dance routine. Through the extra-curricular element of our project we increase the children’s soft skills such as confidence, self-esteem and personal aspirations. Through our house cup competition, we broaden their thinking whilst introducing them to new activities which means their social skills develop massively, whilst having an incredible amount of fun! Art allows children to explore, build on and record their own creative and imaginative ideas. Our House Art competition provides an opportunity for those who love working with youngsters, to be able to bring some light to the lives of children living in poverty and hardship. Dance proves to be one of the most enjoyable elements of projects. Introducing the children to this new environment through creativity, teaches them to build trust and effective relationships. 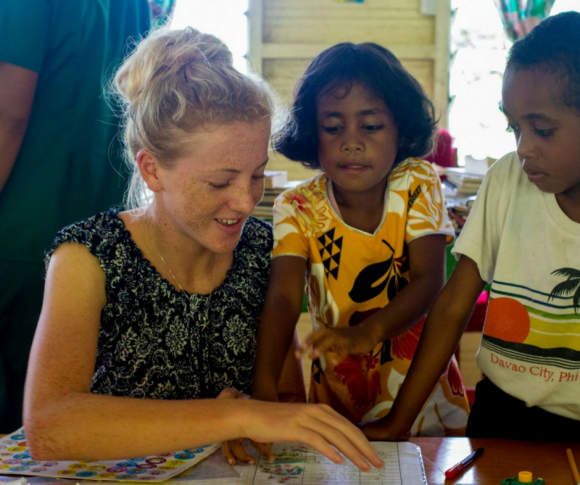 Fijian children are always keen to learn and adapt especially in a fun-filled dance lesson. Help children build self-confidence and inspire them to explore their imagination. 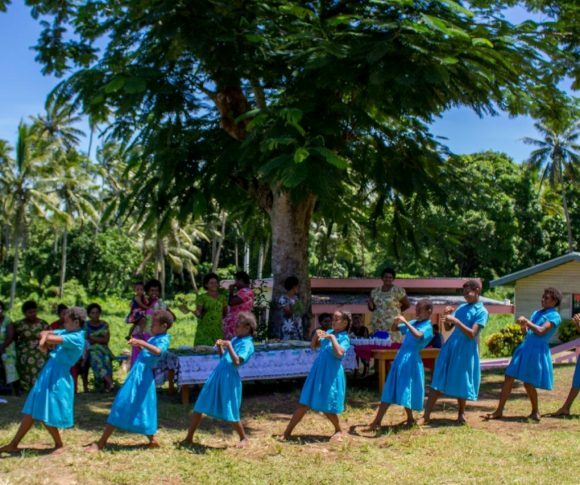 In Fiji the opportunities to take drama classes and perform in plays are limited to non existent, but by bringing your enthusiasm for drama to the South Pacific, you can leave a lasting legacy. My Think Pacific project, submersed in the Fijian culture, was one of the most inspirational and five weeks of my life. I met the most incredible friends and I now have a beautiful Fijian family on the other side of the world that I will never forget. If there was one feeling I have felt more than any other from my summer in Fiji it would be envy. At the honest, untainted lifestyle, envy at the closeness of the community, and envy at the selflessness and generosity the whole of the village shows. I’m sure I’m not the only one who comes away saying Think Pacific has changed their perspective on life. We introduce the House Cup into every school we support. We split the children and also volunteers into houses and we then compete in different areas, from singing competitions and dance competitions to debates and end of project sports days! The aim is to increase children’s self-esteem as they gain points for their achievements and see their skills develop. The project is inclusive and offers the chance of all children to be involved in different areas. It becomes just as competitive for our volunteers and the local teachers as it does for the children! Will you coach your children to be champions of their school cup? Art provides a great start to our inter house competition by allowing the children to express themselves in ways they never knew existed. Many volunteer groups will create murals, classroom displays, big art attacks, and more. Easily the most rewarding element of the House Cup. You will assist the children from not being able to read… to standing in front of their peers, confidently delivering a speech. Definitely a frog in the throat moment. Help the Children to discover their inner voice. House Debating provides the Fijian children with an opportunity to discuss relevant social issues which in turn; allows them to build their self esteem and confidence to speak up. If you have a passion for music and singing then this is the competition for you. Fijian children are blessed with amazing voices; nurture their talent and teach them songs as they compete against the other houses. Choreograph a winning performance by inspiring children to experiment with their movements. 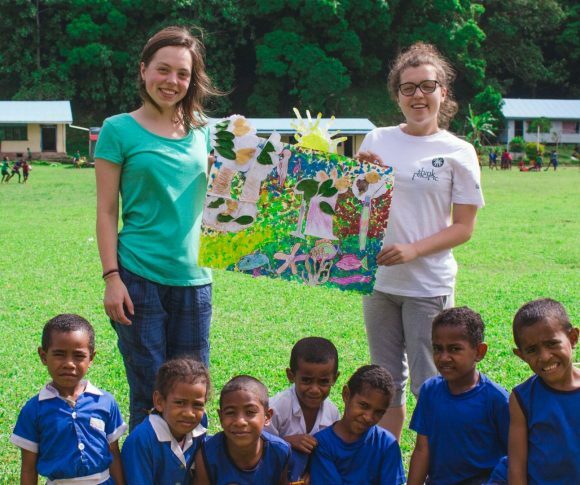 Immerse into the cultural exchange, as the children teach you their traditional Fijian Meke. Join in the festival atmosphere as the House Cup finals takes control of the final week. Bring every part of you by playing a bigger game and contributing in the best way that you know how. If you have a particular passion that can be made into House Cup competition, don’t be shy, grab the ball and run with it! 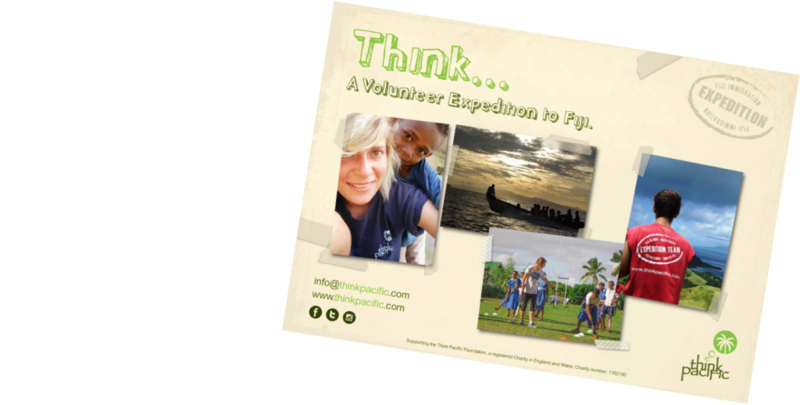 Think Pacific purchase materials and resources to establish the first youth projects in schools and rural villages. For all youth projects, our aim is that the skills and enthusiasm that you offer, combined with the initiative, enthusiasm and commitment of the local teachers and adults in the community, allows the youth clubs to be sustainable and continued by local people long after the project is complete. 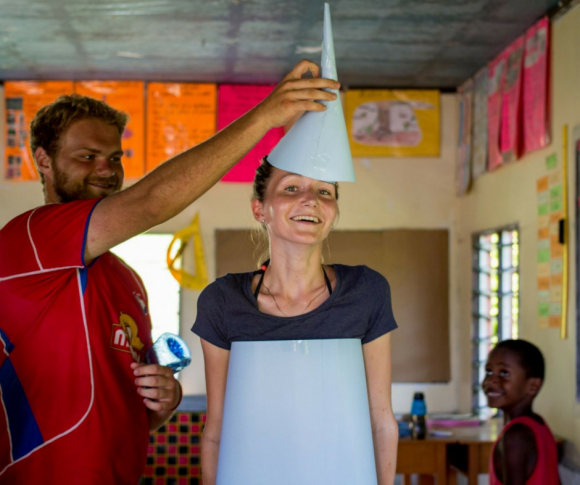 Our House Cup programme is now being successfully continued in over one hundred schools in Fiji by the local teachers, enabling children to continue to develop their interests and increase their skills and confidence in new activities. 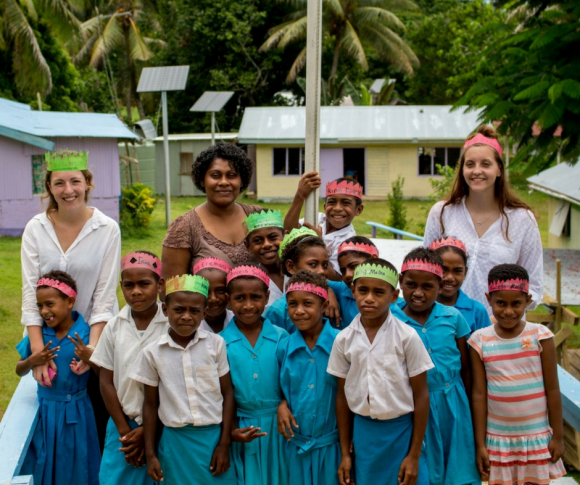 The initiative has also been recognised by the Fijian Ministry of Youth and Sports and Fijian Ministry of Education who have requested Think Pacific to implement youth programmes nationally and as a central aim of every project.